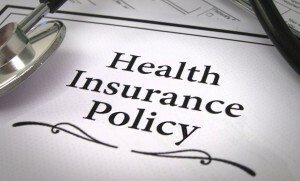 Learn the health insurance jargon and walk in confidently when buying your policy. When you think of yourself as a consumer you probably describe yourself as a smart and knowledgeable shopper. You know exactly what you are buying because you understand all the terminology. You are an expert, perhaps. But, would you consider yourself an expert when it comes to shopping for health insurance? Expat families are, in most cases, required to have international health insurance when entering a new country. Even if they are not required to have it, purchasing it is highly recommended. But what’s with all the confusing terminology? Had you ever heard of lifetime maximum or co-payment? Not the kind of terms you’ll find at a shoe sale. You’re not the only one walking in the dark in the mind-boggling world of health insurance terminology. Let us shine a light for you so you can walk confidently in the knowledge that you know exactly what you are buying. Unfortunately, health insurance does not share the basic terms of any other purchases. You get no down payment, discount or sale. Here are some terms you need to know before you begin your shopping process. Co-payment (co-pay): this is a fixed charge your health insurance may require you to pay every time you receive a medical service. For example, you might be required to pay $20 for a visit to the doctor when you have the flu; the insurance company will pay the remainder of the charges. Deductible: this is the amount of money you are required to pay out of pocket each year before your insurance starts to reimburse you. Deductibles can be for an insured individual or family. The details of a deductible can vary between policies, so make sure you check yours thoroughly. Dependent: the policyholder can have dependents (a spouse or child) covered within their own plan. The extent of the coverage may vary or be limited by the child’s age. Drug formulary: a list of drugs and medication that your insurance covers. Depending on the plan, they may or may not cover medication that is not specified on the drug formulary. Inpatient care: this is the health care the policyholder will receive should they have to be hospitalised. Lifetime maximum: this is the maximum amount your insurer will cover throughout your lifetime. Limited policy: this type of policy will cover only certain things such as specific accidents or illnesses. This might be necessary when doing specific activities. Pre-existing condition: any known health condition or illness the insured person has is a pre-existing condition. It must be declared before signing the contract or else it could invalidate the policy. Pre-existing conditions may or may not be covered by your plan. Some common examples are asthma, diabetes and high blood pressure. Premium: this is the actual cost of your health insurance and is usually a monthly fee. The higher your premium, the higher your coverage. Preventive care: this is focused on prevention and early detection of disease; this means your plan may or may not include routine examinations (like mammograms) and immunisations. Now you won’t be walking in complete darkness when you shop for insurance. Find out more about important factors to look out for when choosing a health insurance provider. Happy health insurance shopping!